Dance Music provides music to rehearse to - inspired by students of Teacher and Choreographer Suki Turner who wanted to practice their tap at home! 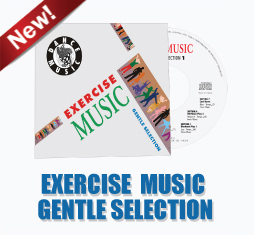 We have been providing syllabus music to the ISTD for many years - and also to EXTEND, an organisation that provides 'exercise to music' for the elderly. 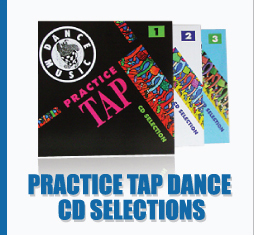 We have launched Practice Tap for students and teachers to really enjoy rehearsing with. More will follow! Let us know if you would like other styles of music too. As well as being Director of Centre Stage Dance and Drama, her own Dance School, Suki is also Head of Dance and Drama at Danes Hill School in Oxshott, Surrey, a leading independent Prep school. Suki Directs and Choreographs local charity dance performances; she Produces regular holiday courses for Centre Stage and an annual Musical Theatre Course. Suki has performed as an actor as well as a dancer in West End and Regional shows. As an assistant choreographer she has worked on many musicals including Hello Dolly and Bugsy Malone in the West End, HMS Pinafore, Gypsy – and the films The Return of the Jedi, Absolute Beginners, and Privates on Parade.